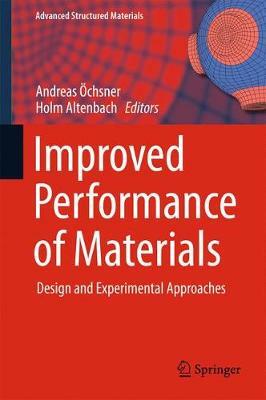 This book offers a snapshot of recent developments in improving the properties and performance of engineering materials and structures. It discusses modeling properties related to classical mechanical, thermal, electrical and optical fields as well as those related to surface-specific quantities (e.g. roughness, wear and modifications due to surface coatings). The material types presented range from classical metals and synthetic materials to composites. Competitiveness due to cost efficiency (e.g. lighter structures and the corresponding fuel savings for transportation systems) and sustainability (e.g. recyclability or reusability) are the driving factors for engineering developments. The outcomes of these efforts are difficult to be accurately monitored due to the ongoing evaluation cycles.